One of the top up and coming 2016 prospects in California, Donovan Mitchell of Buchanan High School (Clovis, CA) has been showing out grabbing attention from college recruiters and media outlets. Mid Major Hoops Report has invited him to our “Players Corner” where we at Mid Major Hoops Report are proud to highlight him and allow him to give us insight into his recruitment at this time…. What is your official height and weight? What position do you see yourself playing in college? What AAU team are you playing with this year? Describe your game for coaches and fans who haven’t seen you play yet. DM: very good at finding people on the break. Slashing and getting to the rim and finishing above people. What makes you stand out the most from other players you compete against? DM:I am pretty big for my position and at 6’8 I can play any position on the floor. My ball handling is very good and my sight on the floor is very good also. What part of your game do you feel like you’ve improved on the most in the last year? DM:finishing at the rim and creating my own shots. What aspect of your game are you working the hardest on to improve? 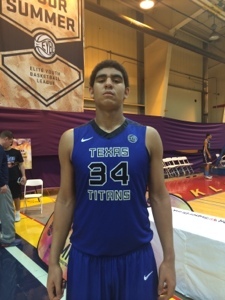 What schools have shown strong interest so far? Who are some of the college coaches who have made an impression on you and your family? Do you have a top five to ten schools you’re looking at right now? What schools have you visited? Do you have any visits planned for the future? DM: I have visited Kansas, Fresno state, Arizona Antelopes, Stanford, Pepperdine. I plan on visiting Uconn, Syracuse and Arizona this summer. Would you prefer to play college basketball close to home, or is that not a factor for you? How hard do you work on your game? How much time do you put in? DM: I work very hard on it. I get in the gym when ever I can and when I’m not in there I go to the weight room or work on my ball handling at home. How old were you when you first picked up a basketball? What things are really important to you when it comes to choosing where to play college basketball? DM: Surrounded by good people! And knowing I can trust them. Who are some of the mentors who helped you get to where you are right now? What’s your favorite moment as a basketball player so far? What are your short term goals as a basketball player? DM: Every game set a bar and try to reach that bar while making my teammate better. DM: Go to a good school, get my degree, have a family and work every day so one day I have the chance to make it big! Do you have a Facebook or Twitter that you’d like to share? What style of play do you prefer? DM: I don’t have any certain one but I do like fast pace. Who’s a player in college basketball or the NBA that you really respect? Do you prefer Nike, adidas, or Under Armour? DM: Any of these shoes are good with me. THANK YOU, TO THE MITCHELL FAMILY FOR ALLOWING MMHR TO CONDUCT THIS PLAYERS CORNER INTERVIEW. PLEASE KEEP US INFORMED ON FUTURE RECRUITING NEWS. One of the top up and coming 2015 prospects in the country, La’Vette Parker of Mater Dei High School (Santa Ana, CA) has been showing out grabbing major attention from college recruiters and media outlets. Mid Major Hoops Report has invited him to our “Players Corner” where we at Mid Major Hoops Report are proud to highlight him and allow him to give us insight into his recruitment at this time…. LP:Combo guard. Can handle the point, but athletic enought to guard the 2s. Describe your game for coaches and fans who haven’t seen you play? 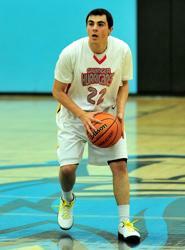 LP: Athletic combo guard, who shoots the ball well (44% from 3s) and plays with a lot energy on both ends of the court. LP: Shooting accuracy (92% from the line) my williningess to hustle on boths of the court. LP: I am in the process of reviewing my top schools now. What schools have you visited? Do you have any visits planned for the? LP: No official visits yet. not a factor for you? LP: Not necessairly. I am open. LP: Pretty hard. About 30-40 hours a week. LP: About two years old. LP: Academic program. Coaches expressing an interest in my development and style of play. Who are some of your mentors who helped you get to where you are right now? LP: My dad; my uncle Lloyd Parker; my uncle Elgin James; my godfather Frank Johnson and my coaches at Mater Dei, especially, Coach McKnight and Coach Jason Quinn. LP: Winning the California and National Championships. LP: Continue to grow and develop my basketball IQ. LP: Become a Division 1 scholar athlete 1 in basketball. LP: Wide open. Getting up and down. THANK YOU TO THE PARKER FAMILY FOR ALLOWING MMHR TO CONDUCT THIS PLAYERS CORNER INTERVIEW. PLEASE KEEP US INFORMED ON FUTURE RECRUITING NEWS. MidMajorHoopsReport travelled out to the Sacramento area and came way impressed with three Bay Area players in the class of 2018. Jack Wilson is a 6’5″ post who reminds us of a young Raef LaFrentz. He has a right and left hand hook that is very effective. His footwork is good for a young post player. As far as rebounding, Wilson does a good job of working for position and going after the ball on the offensive and defensive end. Defensively, he uses his height to alter and block a tremendous amount of shots. In a game against Cal Supreme he had 12 points, 12 rebounds, and 7 block shots. Elijah Hardy is a 5’10” combo guard. He has a great handle. Hardy uses his speed to create plays for himself and his teammates. With his half-court and transition vision, assists pile up like Legos for young Hardy. Considering this was MMHR’s second time seeing him play(First time was at the Pangos Jr. All-American Camp), Hardy’s feel for the game leaves one very impressed. 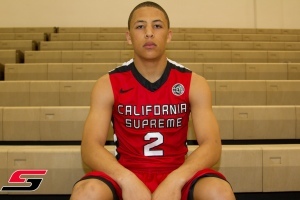 In a game against Cal Supreme he had 10 points, 10 assists, and 6 rebounds. Another player that MMHR saw at the Pangos Jr. All-American Camp earlier this year and later at the Sacramento Live event was 5’10” combo guard Naseem Gaskin. He is an excellent ball handler. This allows him create plays for himself and his teammates. With his feel for the game and scoring ability at all three levels(paint, mid range, and 3 ball), Gaskin was able to will his team to a victory over Cal Supreme by taking over the game by himself in the last 4-5 minutes of the game. He ended up with 22 points and 4 steals. One of the top 2016 prospects in the country, Carlos Johnson of Shadow Mountain High School (Phoenix, AZ) has been showing out grabbing major attention from college recruiters and media outlets. Mid Major Hoops Report has invited him to our “Players Corner” where we at Mid Major Hoops Report are proud to highlight him and allow him to give us insight into his recruitment at this time…. Describe your game for coaches and fans who haven’t seen you play yet? CJ: NAU,Weber St,southern Utah,Boise st.
CJ: My top five is UofA,Baylor,Michigan St,Florida Gators and Uconn. CJ:I have not visited any schools as of yet and for now I have no visits planned. CJ: 5 out of 7 days of the week I am in the gym working on my fundamentals,shooting,footwork and conditioning. CJ:I want to feel comfortable and it has to be a great environment. CJ: I want to obtain my degree and Become a great professional athlete. THANK YOU TO THE JOHNSON FAMILY FOR ALLOWING US TO INTERVIEW HIM AND GIVE US INSIGHT INTO HIS DAILY RECRUITMENT. PLEASE KEEP US UP TO DATE ON ANY AND ALL OF RECRUITMENT. One of the top 2015 prospects in the country, Bennie Boatwright of Village Christian High School (Mission Hills, CA) has been showing out grabbing major attention from college recruiters and media outlets. Mid Major Hoops Report has invited him to our “Players Corner” where we at Mid Major Hoops Report are proud to highlight him and allow him to give us insight into his recruitment at this time…. – Bennie Boatwright is a HM wing forward with nice shooting touch, he can run the floor well and bangs with the best of them, his face up game is getting better each time out. What is your Height, Weight, and Position you play? How is your season coming along, so far? Is it living upto expectations? BB: My season this year I think was great because I got better as a player and person. My team and I put in a lo if hard work and it was great to win a C.I.F. championship with my teammates. Up to this point in your season, who has been your team’s toughest matchup? BB: My teams toughest matchup was versus Stanley Johnson and his Mater Dei team. He wasn’t only our toughest he was everyone else’s who played against him. Which college programs have been to your games and/or practices so far this season? BB: I have been blessed enough to have the whole PAC 12, Texas, Kansas, uconn, utep, and many other prestigious school attend. Which colleges are recruiting you the hardest right now? Any scholarship offers at this point? BB: yes, I have some big offers right now. UCLA, Arizona, Arizona State, Oregon, UConn, USC, and CAL. What are you looking for in a College Program? BB: I am looking for a family atmosphere, and a place where I can develop as a player and as a person. When I am comfortable I play my best. Do you have any college visits planned? BB: Right now, my dad and I are still planning our visits and would like to take them soon. What are your strong points in your game right now? And what weaknesses, do you have that you are working on to become a strength? BB: I need to work on mutant aspect of my game so I can be as versatile as possible. I’m working on getting stronger and lower. As well as ball handling. What AAU team will you be playing with this summer? BB: Gamepoint Elite, We are looking forward to having a great summer! How many days a week are you working on your game outside of normal team practices? BB: I try to work on my game as much as possible. I do a plyo workout at 6 every morning, after school I have weights at 3, later in the evening I go to the gym and work on development drills on the court. I do speed work on the track every other day. Do you have a twitter and if so, what is it? Last question, Who has had the biggest impact on your life when it comes to basketball, life, and school? BB: My dad has had the biggest impact on all aspects of my life. He’s my biggest fan, and worst critique. We bump head sometimes but I know he wants me to succeed. We are in this together and no one can separate our bond that we’ve made through all the good and tough times. BB: Thank you so much for taking the time for interview I really appreciate. I do not take it for granted. Special Thank you to the Boatwright family for allowing us at MMHR to make this interview possible. Please keep us up to date with any recruiting updates in the future. God Bless! 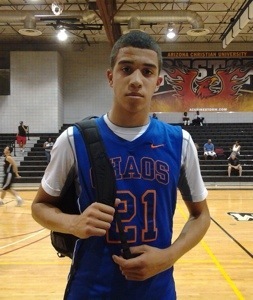 I’ve watched 2014 AVAILABLE guard Kevin Saiz for several years now. He’s a half step slow for Division One basketball but what I love about him is he’s constantly working on his craft and becoming a better player at a methodical, steady pace. Saiz has improved his body, his handles, his shot and also raised the level of his competitive streak in becoming a very good player. He’s also solid academically and is a qualifier. Kevin has spent his entire club career with the Danny Granger D1 Ambassadors Elite squad. As an understudy to Bryce Alford (UCLA) and Cullen Neal (New Mexico), Saiz understands the game, how to be a floor general and when to make his own offensive statement. Kevin will make a fine NAIA or NCAA D2 player who’ll be a solid contributor, and improve the character and play of any team which added him. 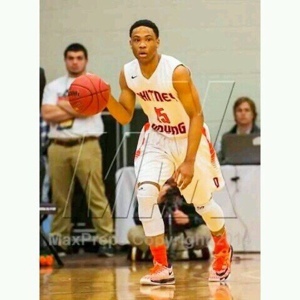 One of the top 2016 up and coming prospects in the country, Rodney Herenton of Whitney Young High School (Chicago, IL) has been showing out grabbing major attention from college recruiters and media outlets. Mid Major Hoops Report has invited him to our “Players Corner” where we at Mid Major Hoops Report are proud to highlight him and allow him to give us insight into his recruitment at this time…. RH: I play the Point Guard position. RH: A strong guard who can get to the rim, defend and has a nice mid range jump shot. RH: I was able to compete for a starting point guard position on an Elite HS program (Whitney Young). I helped lead the team to a state 4A championship alongside nation #1 player Jahlil Okafor. RH: I have improved greatly on my long range/perimeter jump shot. RH: I am continuing to improve on my Jump shot. RH: as a sophomore I am garnering interest from Stanford Univ. RH: Coach K of Duke and Coach Johnny Dawkins of Stanford. 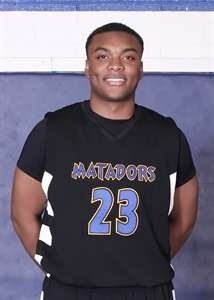 RH: unofficial visit with Georgia Tech so far and I will be visiting Stanford University in June 2014. RH: Playing closer to home is not a factor in my recruitment. RH: at least 2 hours a day during school week and 3 hours a day during the weekend throughout the school year. RH: 3rd grade at the YMCA. RH: Academics is a priority as I have a 4.1 GPA at Whitney Young Magnet School. RH: Definitely my parents and all of my coaches involved in developing my game while growing up! RH: Winning a state championship as a sophomore. RH: I will continue to work on my point guard skills, jump shot and continue to develop into a top player on a national level. RH: My goal is to play college basketball at an Elite D1 program that is known for strong academics as well. RH: Dribble Drive Motion Offense. RH: Trey Burke LeBron James, and Chris Paul. RH: Nike but respect them all. SPECIAL THANK YOU TO HERENTON FAMILY FOR ALLOWING US TO CONDUCT THIS INTERVIEW WITH THEIR SON, PLEASE STAY IN TOUCH AND INFORMED WITH ANY RECRUITMENT UPDATES IN THE FUTURE! One of the top 2016 up and coming prospects in the country, Tim Harrison of Francis Parker High School (El Cajon, CA) has been showing out grabbing major attention from college recruiters and media outlets. 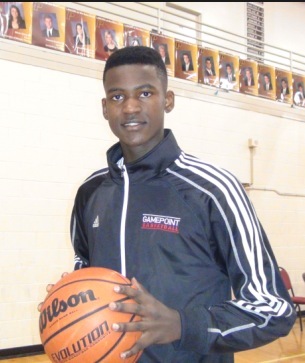 Mid Major Hoops Report has invited him to our “Players Corner” where we at Mid Major Hoops Report are proud to highlight him and allow him to give us insight into his recruitment at this time…. – Tim Harrison (6’8″/Forward/San Diego-CA) Very long athletic, physical in the paint, High Upside, 4/3 position right now has potential to be HM SF at the next level. TH: This AAU season I wasn’t sure what to expect because my team (gamepoint) was recently sponsored by Adidas, so i knew there would be a tougher schedule. So far we have faced some good competition and look forward to the rest of the season. TH: SDSU, USD, New Mexico, Creighton, Gonzaga, Washington, Pepperdine, Indiana, Butler, Michigan, Cal, Usc, Texas, Texas A&M, Harvard, Ucla, Kansas State. TH: Washington, Harvard, ASU, Gonzaga, Cal, Stanford, Texas, SDSU & Oklahoma I have offers from New Mexico and UNLV. TH: Any big time camps or showcases you plan on attending after season? Pangos All American, Stanford Elite Camp, Santa Clara Elite Camp & Adidas Unrivaled. TH: Strong points I would say are being very vocal on offense and defense or even on the bench and I always try to impact the game. And my mid range jump shot is also a strength for me. A weakness that I am working on is strength and overall basketball IQ. TH: God and my parents. My high school coaches an AAU coaches have also done a great job at encouraging and pushing me to be the best that I can be. A special Thank you to the Harrison Family for allowing us to conduct this interview with their son. Please keep us up to date on anything recruiting wise involving your son. Today is May 11, 2014 (Mothers Day) HAPPY MOTHER’s Day Myrna Harrison! 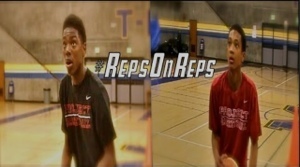 SACRAMENTO (CA) – Part (2) two – Mid Major Hoops Report scouting analysts Ladell Hill Jr. and Joey Velasquez were on hand to evaluate talent at the EYBL SACRAMENTO SESSION. We will be posting top athletes that we saw in the Sacramento event. The list of top athletes are named based on game performance and not HYPE coming into the event. This is part 2 of 2 report on top performers over the (3) three day event. 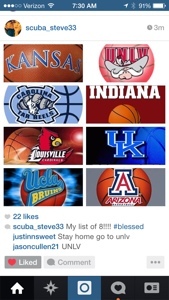 7’0″ Stephen Zimmerman (2015/Center/Bishop Gorman) lists his top 8 college choices at this point via Instagram. @froggallstars gettin it in! Givin back to the neighborhood kids! Future is bright!